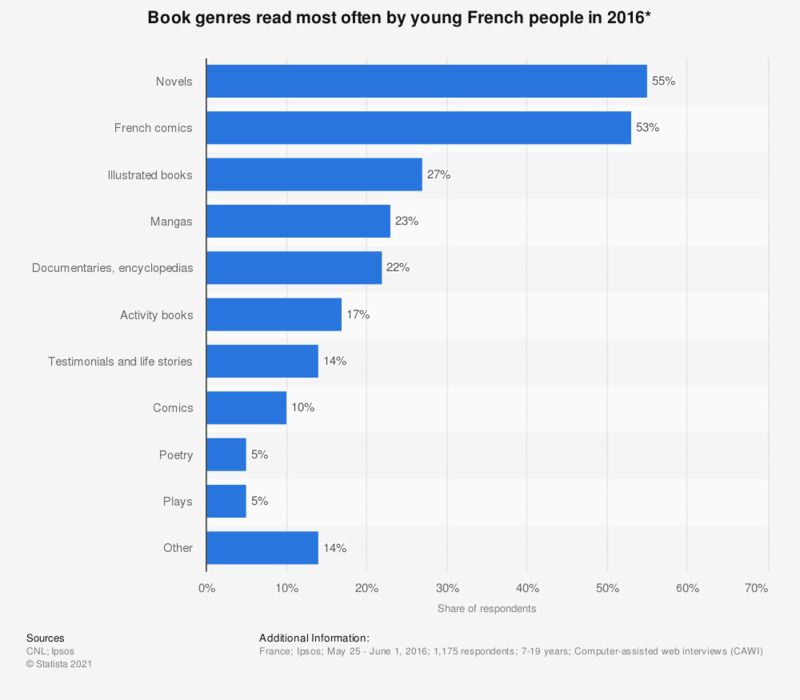 This statistic presents the kinds of books that young people prefer to read in France in 2016. In that year, 55 percent of young people said they read novels most of the time, and 53 percent read comics. * The question was worded by the source as follows: "What types of books do you read most often? "